HERE IS A REAL OPPORTUNITY TO HAVE A NICE 4-BEDROOM,2-BATH HOME, WITH AN ATTACHED DUPLEX,WITH 2- BEDROOMS 1-BATH,WITH ALL APPLIANCES TO INCLUDE WASHER/DRYERS IN EACH,TO HELP MAKE THE PAYMENT!! THERE IS ALSO A 2-CAR GARAGE FOR RENTERS OR MAIN HOME!! RENTAL HISTORY HAS BEEN REALLY GOOD SINCE THEY OWNED IT. 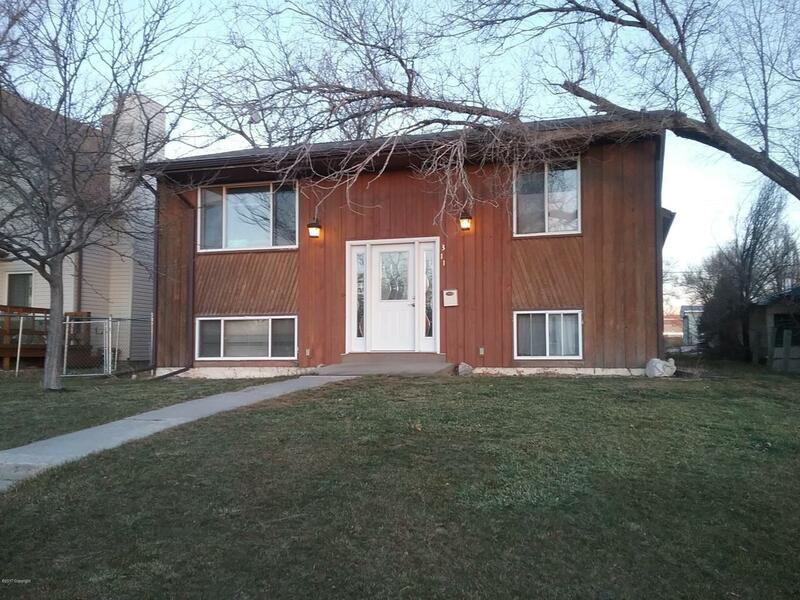 BOTH UNITS AND HOME ALL IN GOOD CONDITION.BE SURE TO DO A VIEWING ON THIS PROPERTY.CALL LESTER CLEMENTS AT 307-660-0217.